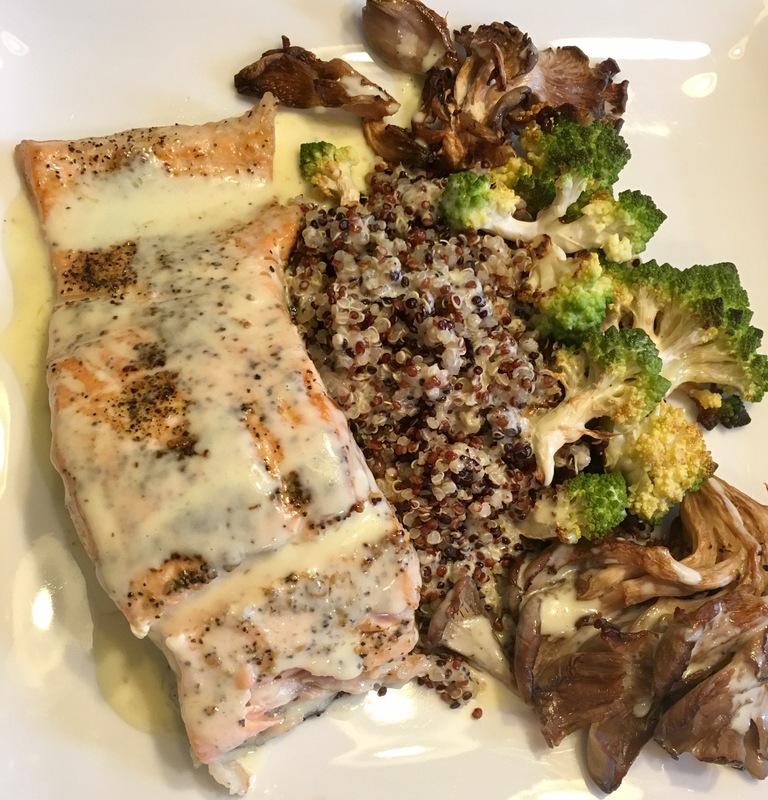 Salmon and Quinoa – Eat, Drink, and Go! 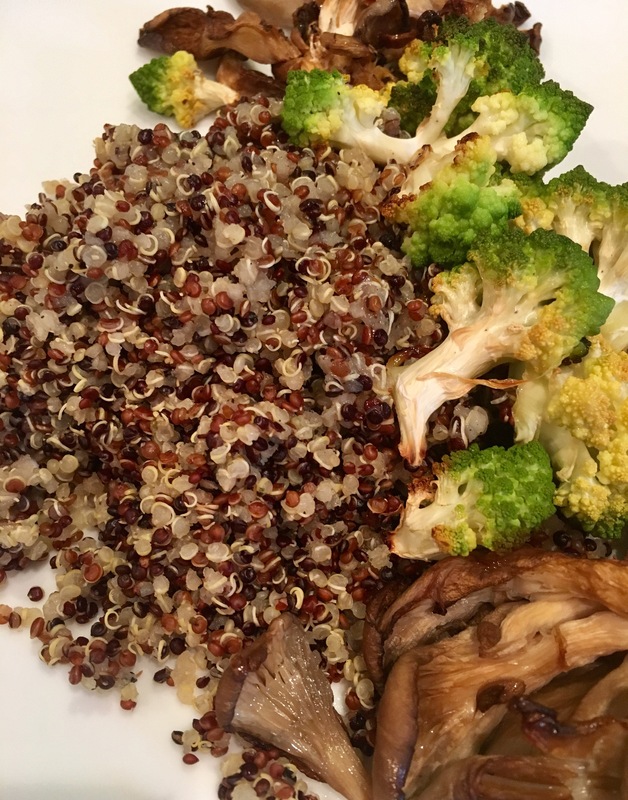 I probably don’t need to tell you about the coolness of quinoa. In short, it’s like crunchy little rice nubs that fill you with whole grain nutrients. And it was on my menu last night – the tricolor kind. I had this idea to do salmon over a Caesar salad with homemade dressing. I think it’s because I had romaine lettuce and the fridge and I was talking about grilled romaine with a friend the other day. Put a pin in that, will do it another time. 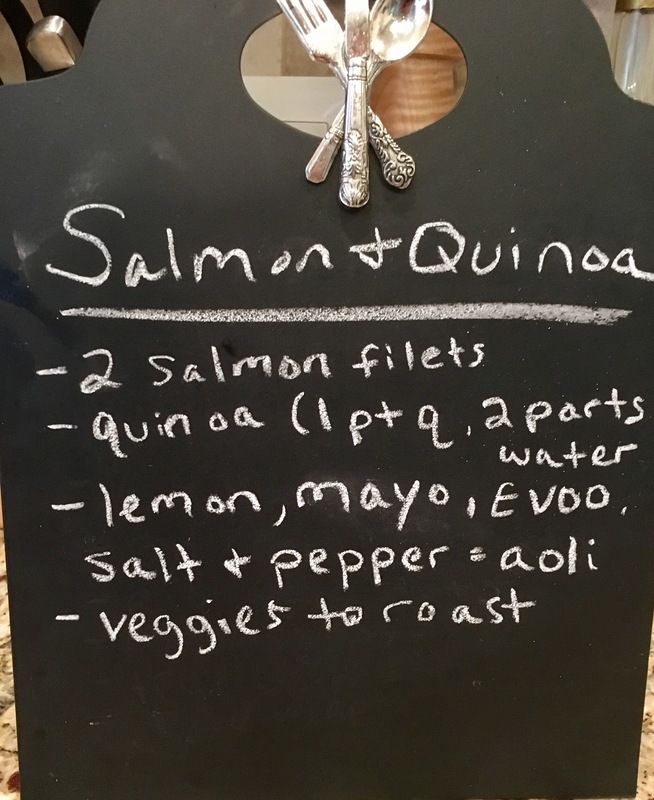 But I decided to just go with the quinoa because I hadn’t made it in a long time and felt like it’d go great with the salmon and some lemon aioli. This was easy. I made the aioli ahead of time to let it chill a bit. I didn’t use a recipe, so if this isn’t actually aioli, I’m sorry. It was lemony, there was mayo involved, and it was delicious. Just a few ingredients. 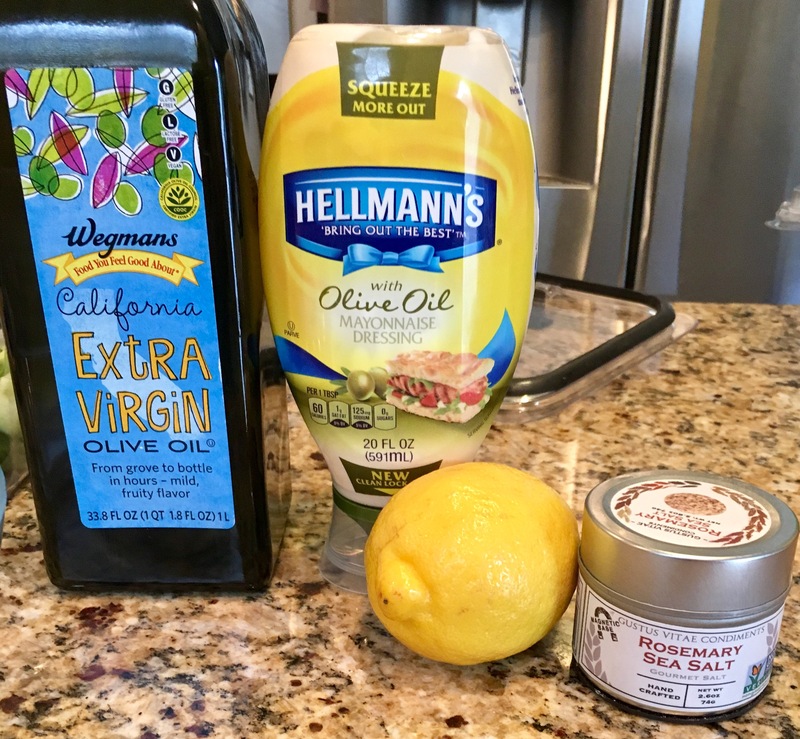 Couple tablespoons of mayo (I so rarely use mayo, but it really does have some purposes), a couple tablespoons of EVOO, the juice of half a lemon, and some good salt. Whisk together and add in some pepper to taste. Of course I needed some veggies with the dish, and happened to have some cool ones. Romanesco (a.k.a. 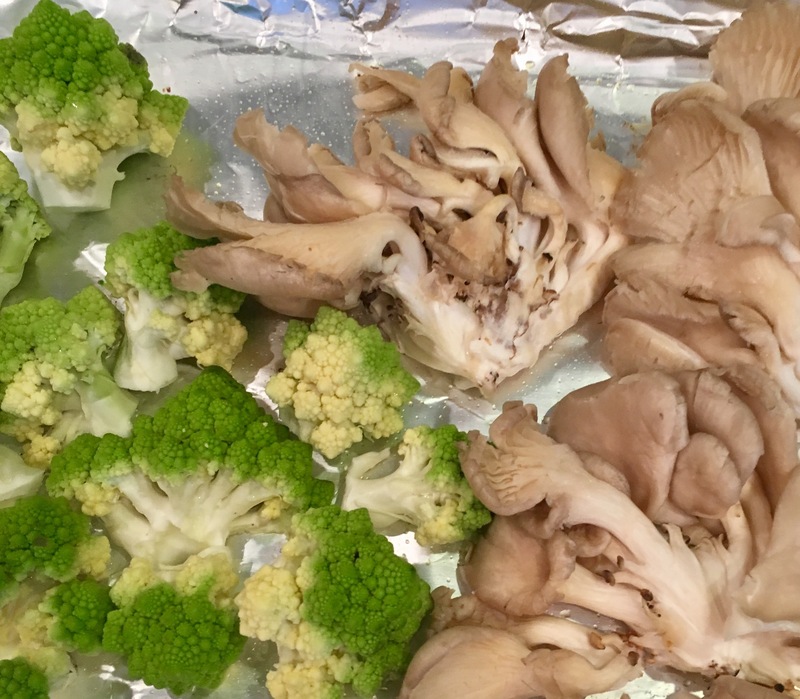 Alien cauliflower) and oyster mushrooms. Drizzle on a little EVOO (or Truffle oil of course) and roast. 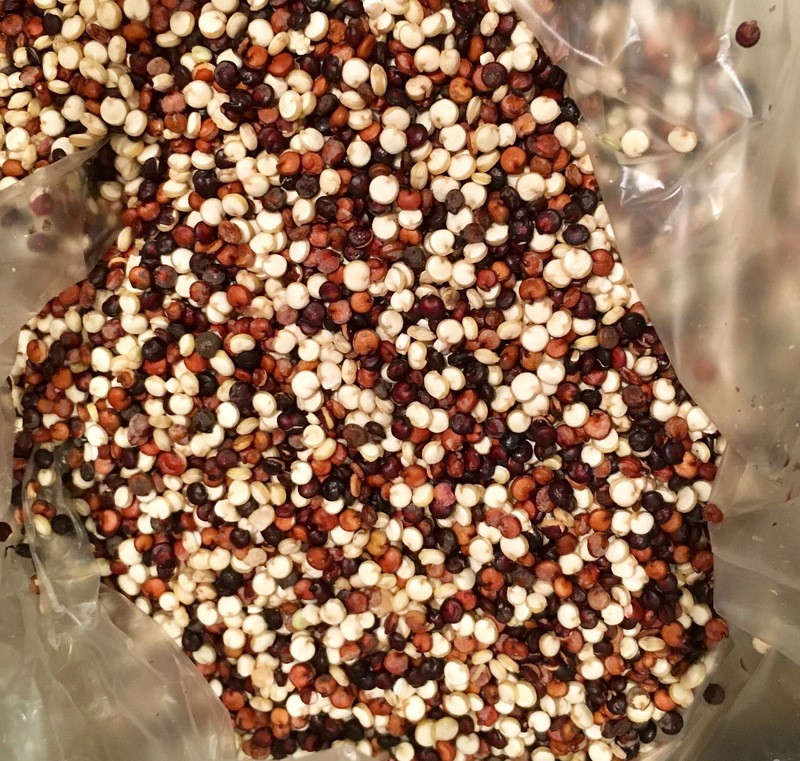 The quinoa goes pretty fast, the ratio is one part quinoa to two parts water. 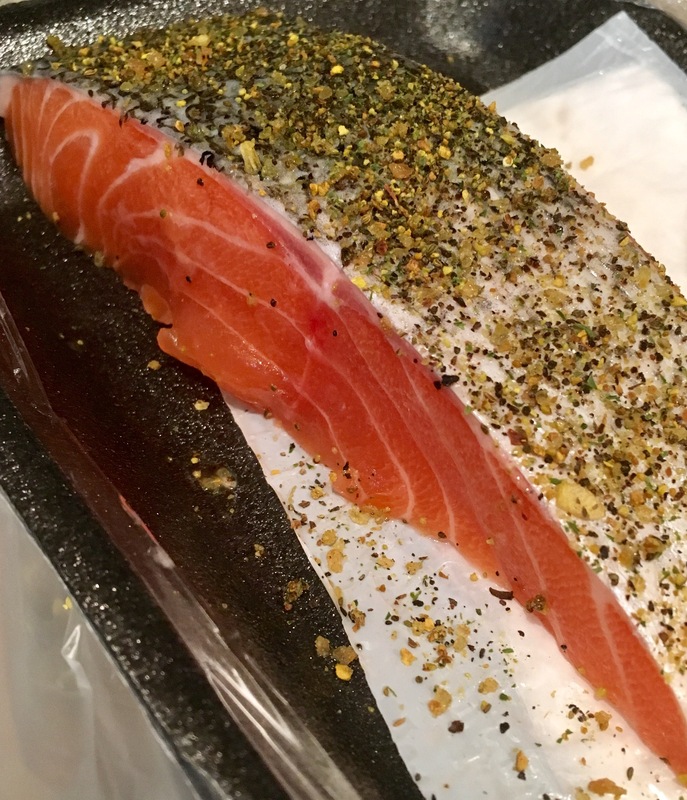 I always like to season the water a little, so I used a lemon peppery seasoning that I’d also be using on the salmon to sear it (Spice Cave’s “Sea,” I’ve spoke of it before). Season the skin side pretty thoroughly and then just a tad on the flesh. Sear it as usual, primarily skin side down to get that great crisp. The veggies definitely take the longest among the lot here, so time things as needed. One thing I love to test myself on is timing everything to be done at the same time. This definitely takes practice. When all is ready, begin your plating! Quinoa and veggies first to create the bed. 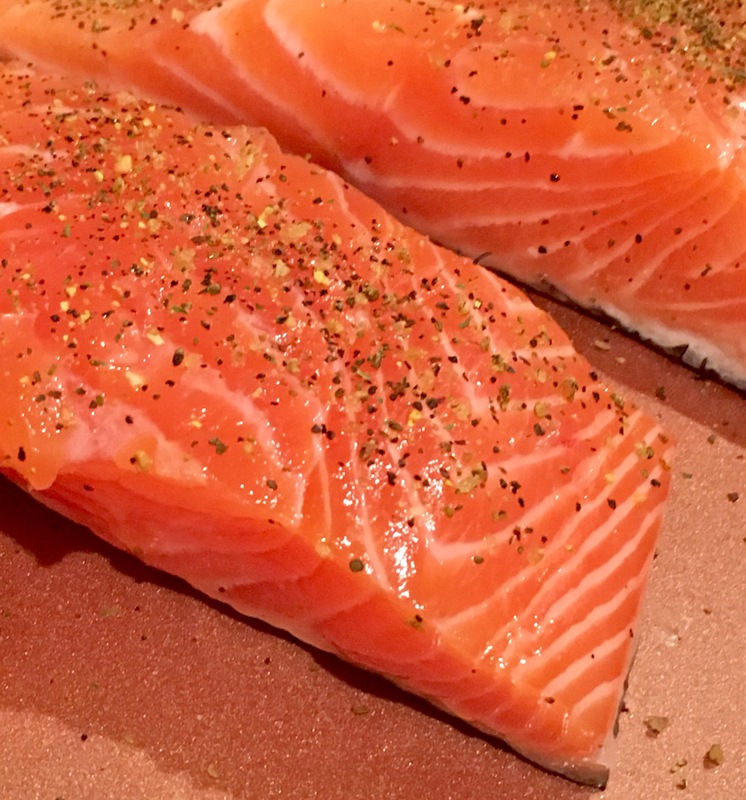 Then in comes the salmon. 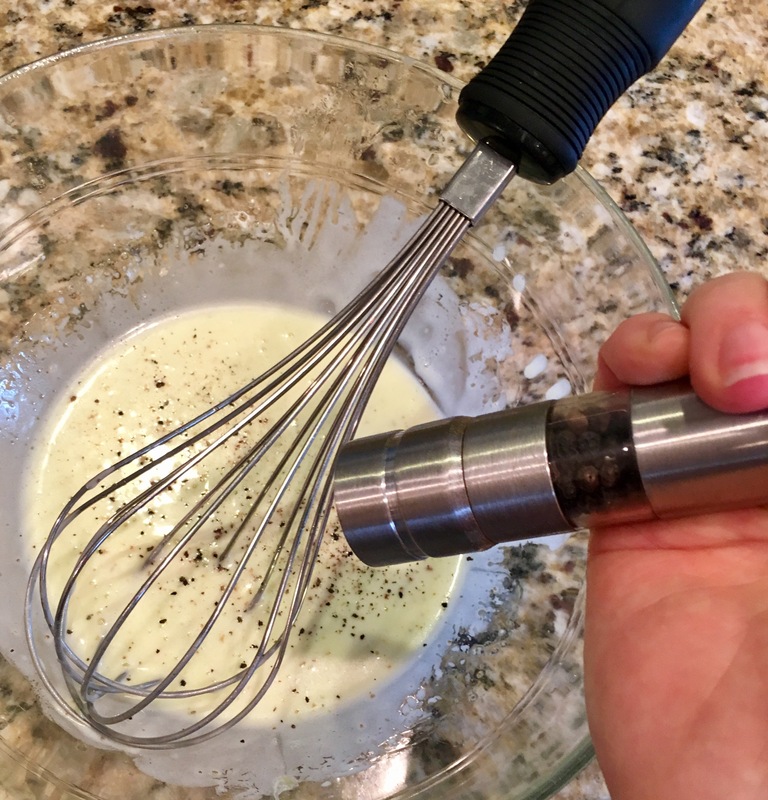 Grab that yummy lemon aioli from the fridge and spoon on generously. 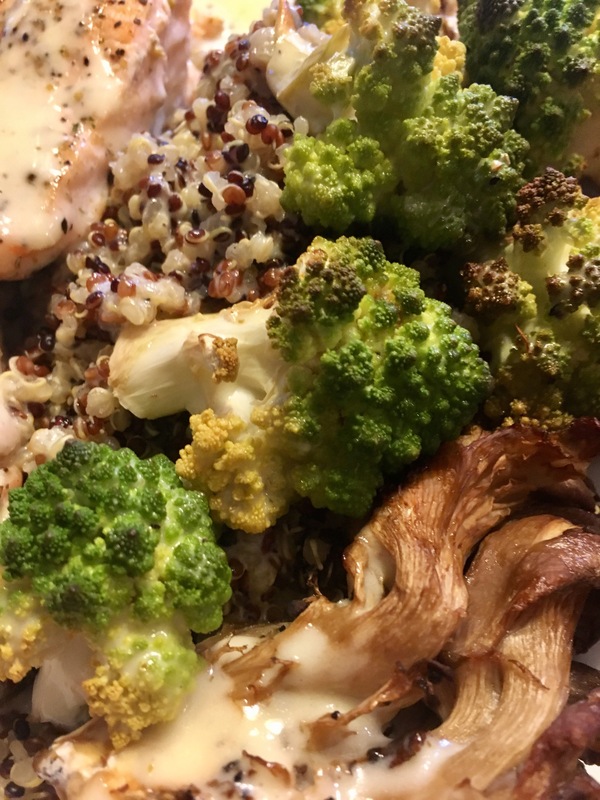 Be sure to get it on the veggies too – this is an equal opportunity sauce. Ta-da! 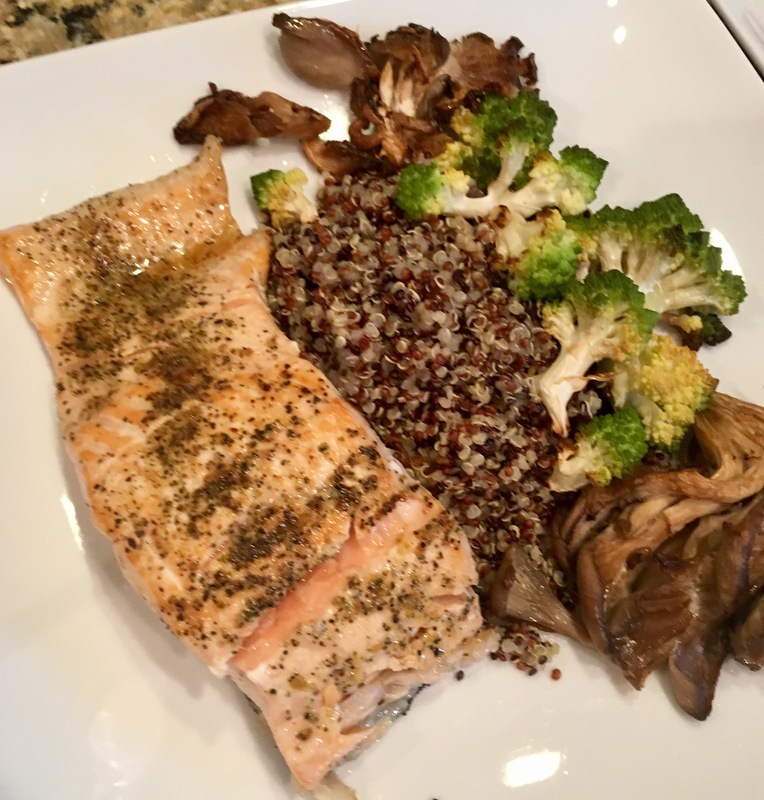 Lots of variation can be had here, so go get creative in the kitchen!